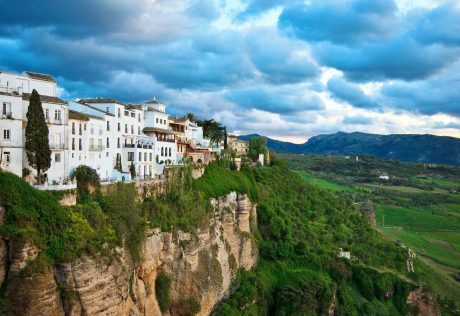 Spain, the third-largest country in Europe in terms of land area, sits on the Iberian Peninsula, which it shares with neighboring Portugal. The nation also sprawls out over numerous islands in the Mediterranean Sea and Atlantic Ocean. Its diverse but consistently gorgeous topography includes landforms ranging from snow-capped mountains to fertile river valleys and tropical beaches. 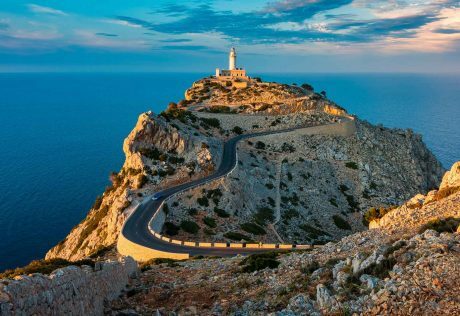 Such varying landscapes within one country mean that visitors to Spain can enjoy a myriad of activities in addition to bicycling, from hilltown walks to wine-tasting to basking in the Spanish sun. 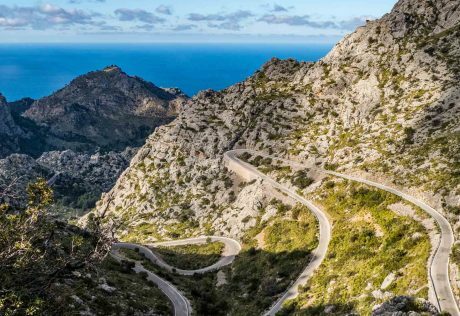 Spain is heating up as the next great cycling country after Italy and France. The lovely Spanish climate makes it perfect to bicycle here almost all year round. There are so many unique Spanish regions and we have tours through many of them including the world’s only Bike Across Spain. Spain has plenty of pristine landscapes and natural areas, in fact, Spain is the second country in the world with the most Biosphere Reserves (47), not to mention its 15 National Parks, as well as some of the most beautiful and best-signposted routes in Europe (such as the Way of Saint James). 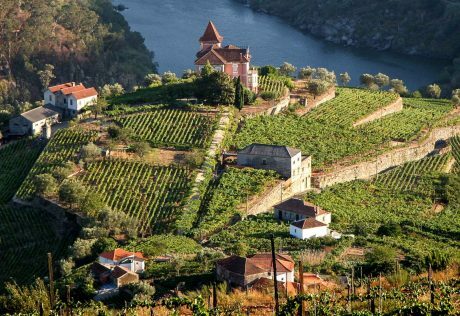 Numerous routes run through destinations of immense cultural and gastronomic interest. 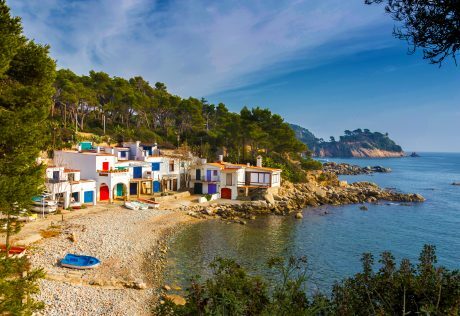 Spain abounds in charming, easygoing villages to visit by bike (both along the coast as well as inland). 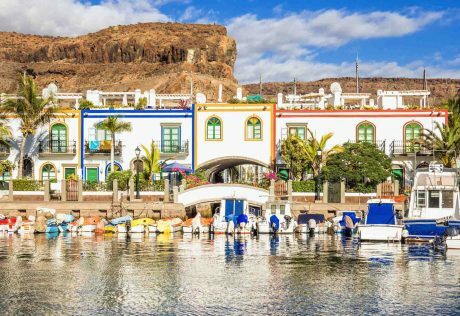 Spanish culture is widely known for Flamenco music and dance, bullfights, fantastic beaches and lots of sunshine and for thousands of years, it has been one of the cultural centers of Europe. “Spain is different!”, Spaniards use to say. They don’t specify compared to what: to the rest of Europe, to the rest of the world, or even to itself? Spain has an extraordinary artistic heritage. The dominant figures of the Golden Age were the Toledo-based artists El Greco and Diego Velázquez. Francisco de Goya emerged in the 18th century as Spain’s most prolific painter and he produced some wonderfully unflattering portraits of royalty. The art world in the early 20th century was influenced by a remarkable group of Spanish artists: Pablo Picasso, Juan Gris, Joan Miró and Salvador Dalí, ambassadors of the artistic culture in Spain. Spain’s architecture ranges from prehistoric monuments in Minorca in the Balearic Islands, to the Roman ruins of Merida and Tarragona, the decorative Lonja in Seville, Mudéjar buildings, Gothic cathedrals, castles, fantastic modernist monuments and Gaudí’s intricate fabulist sculptures in Barcelona. They are all representative of the culture of Spain.